In Roman times this part of London, just north of the City wall, was dominated by the Walbrook river which flowed south into the Thames. The large excavation undertaken for Liverpool Street station lay on the eastern bank of the Walbrook. This cremation urn was found to the west of the site. It was recovered from the ceiling of a sewer tunnel at the very west of the site. It was made at kilns in Brockley Hill in north west London around AD 100-160 and was probably originally buried with a ceramic lid. The vessel contained the remains of a single individual, almost certainly an adult. 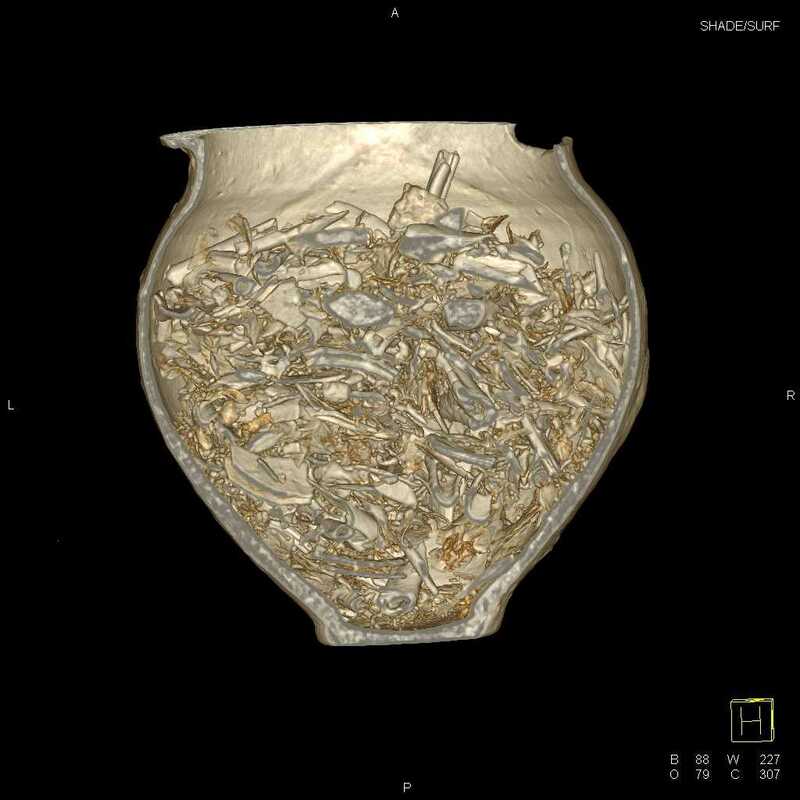 The image below shows a CT scan of the cremation urn and its contents, the remains of a single adult individual. An iron ring was found on the right wrist of an adult male skeleton, which had been decapitated. The ring is extremely large and heavy and is welded shut. Its purpose is not known but it may have placed on the arm symbolically to represent a shackle. 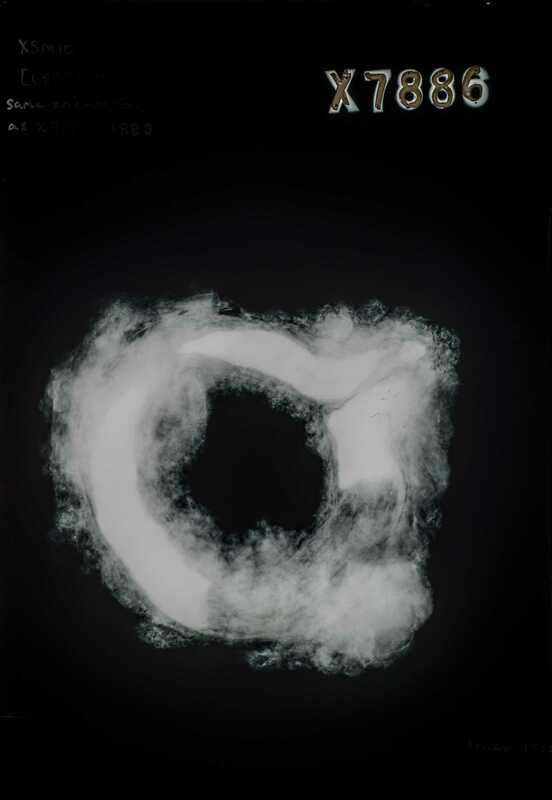 It is not known if the left arm also bore a similar ring since it was missing, probably disturbed by 19th-century works. The ring is large enough to fit over a human hand but too heavy to have been a comfortable adornment in life. It was welded shut and so could not have functioned as a conventional shackle. Its purpose is not known but it may have been placed on the arm symbolically, as part of the burial ritual, perhaps to represent a shackle or as a form of punishment. Alternatively it may have been placed in some sort of recognition of the person it was buried with, perhaps denoting them as a slave. Burials with iron rings have been found before but are not common and so it may not necessarily be representative of a slave, a class that would have been common in Roman London. Archaeologists and conservators X-ray corroded iron and copper-alloy items so they can see what they are. Conservators use the images to help them when they are cleaning off the corrosion that has built up over the original surface of an item.